Having surgery at UC Davis Health? Thank you for choosing to have surgery at UC Davis Health, home to the expertise of nationally ranked UC Davis Medical Center and UC Davis Children's Hospital. The links below contain useful information to help you become more familiar and comfortable with what to expect on the day of your surgery. Please choose the link that matches the surgery center location where your procedure is scheduled to take place. We look forward to taking good care of you! 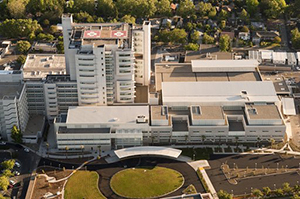 Note: for Pavilion Surgery Center and Children's Surgery Center, use "UC Davis Medical Center Hospital: Main parking/main entrance directions"
If you or your family member will be staying overnight as a hospital inpatient, the below information may also be helpful. (Note: it is also available by following the pavilion and children's surgery center links above).